Trump’s success in becoming the president has bothered more than a handful of people. Consequently, it seems that people seriously considered why he got voted in. Critics attributed it to the lower class Caucasian demographic that had had enough of the problems caused by healthcare and tax redistribution. However, no one has cared to delve even deeper. What are the lives of lower class Caucasian people like? What made them support and ultimately elect Trump? After all, change is brought about by understanding each other. 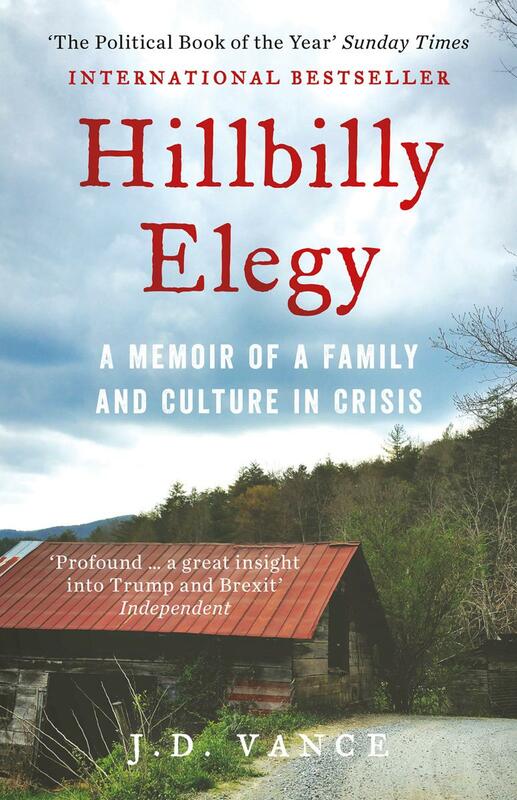 It seems A Hillbilly Elegy will be the book that provides an opportunity for that understanding. James David Vance was born in August 1984 in Middletown, Ohio, as James Donald Bowman, the son of Donald Bowman and Bev Vance. His half-sister, Lindsay, was born when his mother was nineteen years old. His father left his mother, a nurse, and started a new family. Vance's mother struggled with a heroin and opioid addiction throughout his childhood. He was raised primarily by his grandparents. Vance’s background is that of the typical country-raised hillbilly family, making him more than a viable candidate to convincingly and truthfully write a story about hillbillies. His stance throughout the book is composed to thematically express how the hillbilly culture has sustained the hillbilly population throughout the years of American history, but also how it has taken its toll and now driven the white rural population to support Donald Trump. The book is a recollection of various vignettes, which feature either Vance observing others around him or telling his personal stories, usually related to his family history. Through these stories, he breaks down why his Appalachian upbringing, which usually leans far blue (Democratic), became so heavily infatuated with the far red (Republican). He details rural life’s failings, such as the tendency of violence and verbal abuse, as well as its subconscious encouragement of detachment of the individual from the rest of society. He believes these cultures are what encouraged support for the republican regime, not the economic struggle itself. For instance, he shamelessly admits that his ancestry came from nothing. His ancestors were farmers, millworkers, and sharecroppers, nowhere near the upper class. The constant violence and abuse within them makes the individual rely on unstable relationships and drugs. Vance also believes that poverty in this context of hillbilly culture is more the individual’s problem than a structural one. This culture and upbringing that belittles the weak and taboos failure drives one far away from the road of self-development. He expresses this view vividly through episodes of a man that skips work when his girlfriend is pregnant, or a man that quit a job for tardiness and blamed the “Obama economy.” The social despair created by the hillbilly culture drove these people to hate the status quo. The book is incredibly compelling in its narrative, and shows that struggle is not exclusive to racial minorities. It does present a persuasive case as to why a person like Trump was elected as President. However, rather than blaming liberals and the past government, it focuses more on how the culture that was cultivated in rural areas contributed to the downfall of the hillbilly community.